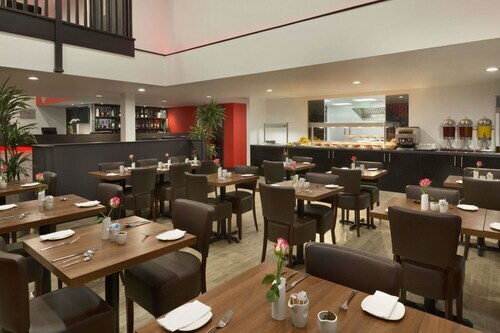 Located in the heart of Oxford, this luxury hotel is steps away from Oxford Playhouse, Ashmolean Museum and New Theatre Oxford. University of Oxford and Oxford University Museum of Natural History are also within 10 minutes. Oxford Station is 11 minutes by foot. 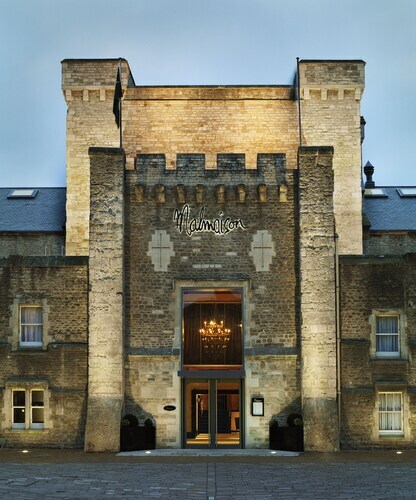 Located in the heart of Oxford, this romantic hotel is within a 5-minute walk of Oxford Castle Unlocked and Carfax Tower. New Theatre Oxford and Ashmolean Museum are also within 10 minutes. Oxford Station is 9 minutes by foot. 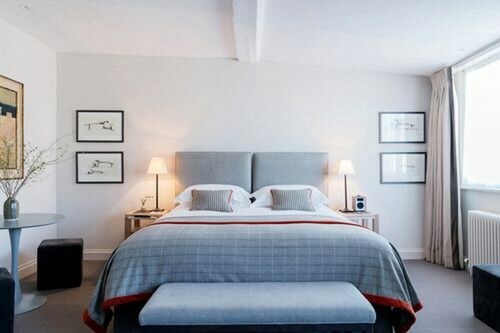 Located in South Oxfordshire District, this hotel is 0.5 mi (0.9 km) from Waterstock Golf Club and within 6 miles (10 km) of Waterperry Gardens and Headington Shark. O2 Academy (Oxford) and Carfax Tower are also within 9 miles (15 km). 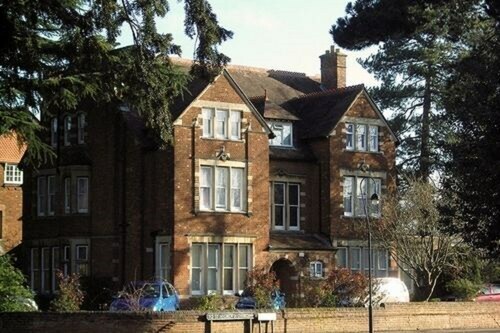 Situated in Oxford, this hotel is within 3 mi (5 km) of St. Anthony's College, St. Anne's College and University of Oxford. Worcester College and Oxford Castle Unlocked are also within 6 mi (10 km). Situated in Oxford, this guesthouse is within a 10-minute walk of Greyfriars Oxford and O2 Academy (Oxford). Bodleian Library and Carfax Tower are also within 1 mile (2 km). 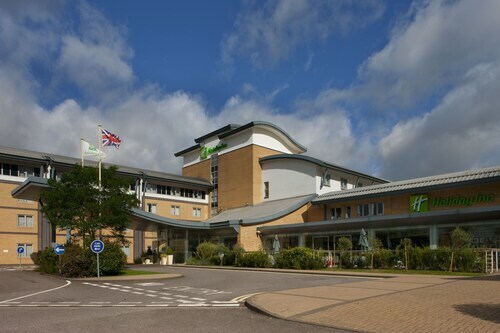 Located in South Oxfordshire District, this hotel is 0.2 mi (0.3 km) from Kassam Stadium and 2.9 mi (4.7 km) from O2 Academy (Oxford). Greyfriars Oxford and Southfield Golf Club are also within 3 miles (5 km). Located in the heart of Oxford, this guesthouse is steps away from Balliol College, New Theatre Oxford and Bodleian Library. Ashmolean Museum and Carfax Tower are also within 5 minutes. Oxford Station is 11 minutes by foot. 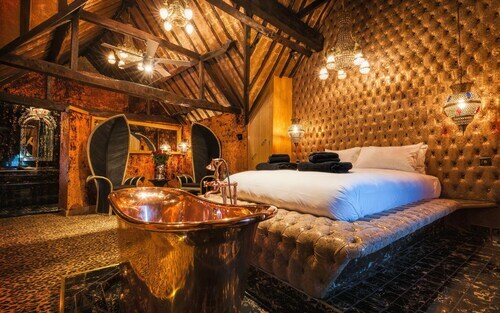 Located in South Oxfordshire District, this luxury guesthouse is within 6 miles (10 km) of Kassam Stadium, Waterstock Golf Club and Dorchester Abbey. O2 Academy (Oxford) and John Radcliffe Hospital are also within 9 miles (15 km). 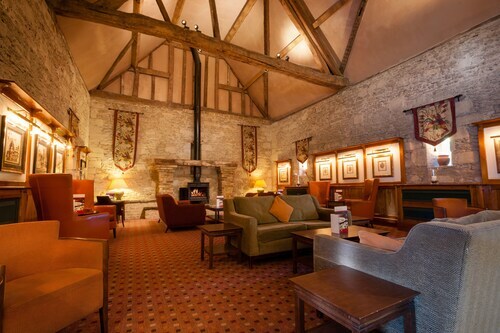 Situated in Oxford, this luxury hotel is steps away from All Souls College and Bodleian Library. Carfax Tower and New Theatre Oxford are also within 10 minutes. Oxford Station is 16 minutes by foot. So, you're thinking about a holiday to Oxford? If you want to find accommodation that's located close to the sights, you can enter your holiday dates and then use the filters beside your hotel search results to find somewhere to stay near the area's attractions such as Covered Market, Sheldonian Theatre and Radcliffe Camera. You can choose among 125 Oxford hotels and accommodation options to find a place you'd like to stay. 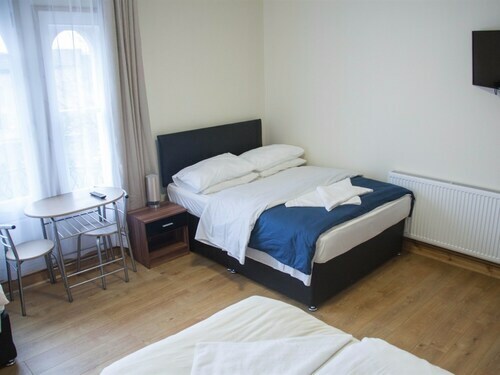 When you're deciding where you want to stay in Oxford, you'll be able to quickly and easily search ebookers for hotels that offer services such as high-speed Internet, a swimming pool or free airport transport. You can use the filters to narrow down your search for a hotel, so you can get the services that are important to you, such as an in-room kitchen or air conditioning. When arranging your Oxford getaway, you can also use ebookers to look for a convenient flight into Oxford (OXF) Airport. You can narrow down your search by number of stops, airline or time of departure to identify one that'll meet your needs. When is the Best Time to Explore Oxford? If you're wondering when is the best time of year to visit Oxford, you may find this information about seasonal weather helpful when you are organising your getaway. The warmest months in Oxford are typically July and August, whereas the coldest months are usually February and January. The months with the most rain are February and December, whereas March and August have the least. From January to March, the average daytime temperature is 11°C and at night it is 0°C. Seasonal average rainfall is 8 mm. If you visit between April and June, you can expect an average temp of 21°C during the day and 3°C at night. Average rainfall during this season is 7 mm. The daytime average temp from July to September is 22°C and the nighttime average is 8°C. Average precipitation for this season is 7 mm. The average annual rainfall in Oxford is 31 mm. Very convenient location but very cramped room and bathroom. Clean and nice. Breakfast is okay. Staff is helpful. Staff were friendly and helpful. The property is very pretty with pleasing grounds. Evening meal, steak was tough and afternoon tea was not worth the money. However, breakfast was really good. The room was clean and well presented. Would have liked to know about check in arrangements as soon as we’d booked. Free parking is mentioned but iin reality it has only two parking spaces. The rest is on street parking wherever you can find a space. Very nicely decorated and set out. Very comfortable bed. Room decor lovely and absolutely spotlessly clean. Well equipped with everything we needed. Reception staff very helpful. Many places to eat nearby so lack of restaurant not an issue for us. 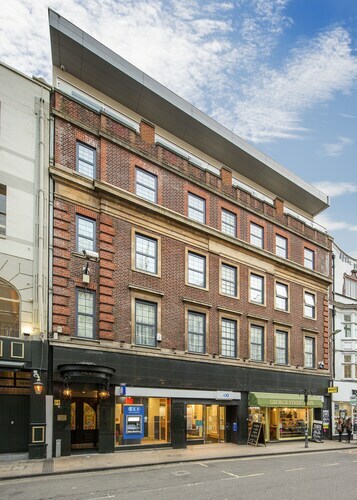 Central location, we used car park at the end of George street where you can park for 24 hours for £28, only a short walk. Good location, great price, bed was too soft for me and I slept really badly. Nice old style building, which is both positive and negative. 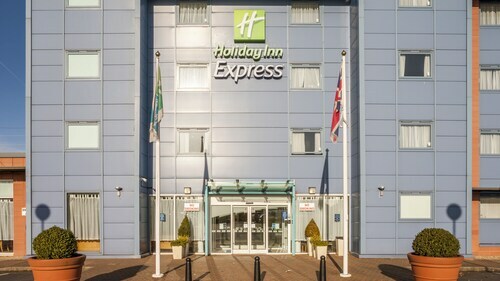 Beautiful building outside and inside, Very clean, modern and comfy room, free car park and delicious breakfast included. Would highly recommend for a stay nearby Oxford town centre.